Our program is structured in an intensive session format, which provides flexibility for those students who are working while going to school full-time. The first two academic years of full-time study are taught in six intensive sessions, each ranging from 14 to 18 days in length. These intensive sessions are scheduled approximately every three to four months so that students are in Florida three times each year. All instruction is presented on-site by a live instructor, with classes beginning at 9 am and ending at 6 pm. Non-local students commute to Florida for the entire duration of these intensives. After the intensive is over, students return home where they complete a variety of homework assignments building on the course work they just completed, along with additional corequisite courses. For a fuller view of the intensive structure, contact the admissions office for a program schedule. Our teaching structure permits students from all over the country to enroll in our program without having to relocate to Florida during the first two academic years of the program. Many students who live outside of Gainesville find our structure ideal for their needs. The majority of our student body reside in states other than Florida. The third year of the M.Ac. program is a full 12-month clinical residency in Gainesville where the structure shifts to a weekly schedule of class and clinical study. At this time, students who do not already reside within a reasonable commuting distance of the Academy must relocate to Gainesville for the duration of the clinical internship to complete their training. The Clinical Residency is the heart of the program and must be completed in the Academy’s teaching clinic. Here, students work with experienced Five Element practitioners, gaining in-depth proficiency in treating their own patients in addition to attending weekly clinical seminars. The schedule includes a number of weekend courses in addition to the weekly clinical schedule. 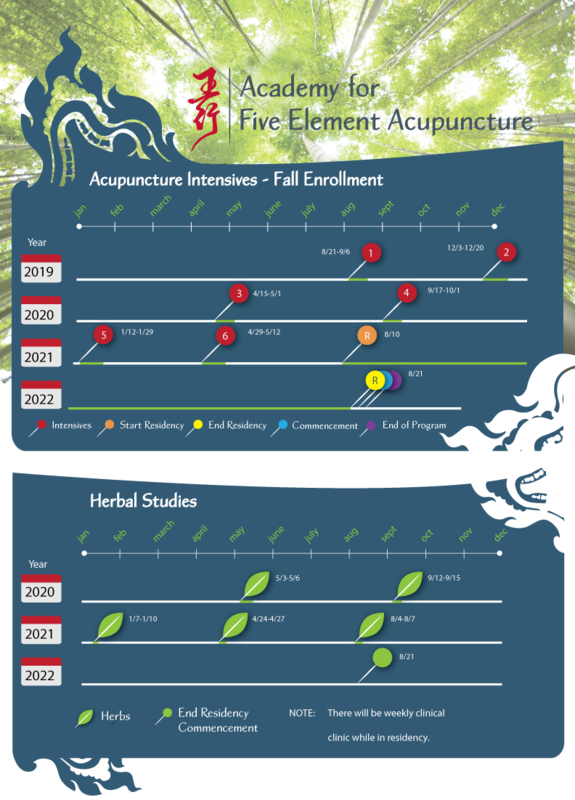 For a complete breakdown of the Master of Acupuncture program sequence, please go to the summary of M.Ac Program Hours. 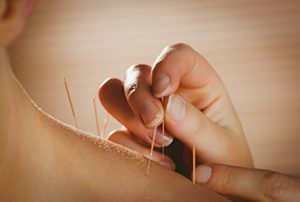 The Chinese Herbal Studies program is also offered in an intensive format, scheduled in conjunction with the acupuncture intensives. There are five intensive sessions for the Chinese Herbal Studies program, with each intensive lasting four days. The clinical portion of the program is scheduled alongside the acupuncture residency, enabling students to complete the clinical training for both programs at the same time. Students will see patients in the Academy’s herbal clinic, recommending and compounding their formulas in the school’s dispensary. Students also attend weekly classes during the clinical year. Please contact the Admissions office for a sample program schedule. For those students enrolled only in the Chinese Herbal Studies program, the same residency requirements for the M.Ac. program apply to the Herbal Studies program. Students must relocate to the Gainesville area for the clinical year in order to attend weekly classes, see clinic patients, and work in the herbal dispensary. 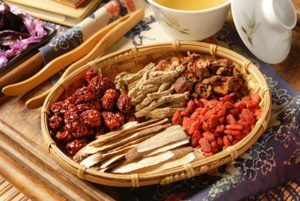 For a complete breakdown of the Chinese Herbal Studies program sequence, please go to the summary of CHS Program Hours. For the complete list of current course offerings, please download our catalog.